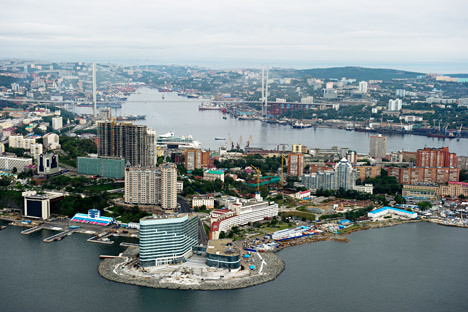 Around $70 billion (4.7 trillion rubles) worth of contracts and agreements are likely to be signed at the upcoming Eastern Economic Forum in Vladivostok, Alexander Galushka, Minister for the Development of the Russian Far East told to journalists on Friday, August 28. “Preparatory work with investors allowed us to form a package of 200 investment projects,” he said. Galushka also said the Far East Development Fund would announce an investment of around 100 billion rubles in various projects. About 70 agreements will be signed at the forum, including 20 in the power sector and six in agriculture, and four in oil and gas, according to the minister. A large number of these agreements will be signed between Russian enterprises and South Korea’s Ministry of Industry, Trade and Energy and the Export-Import Bank of Korea. “This bank offers very good conditions,” Galushka said, adding that some companies in the Russian Far East already had debt-financing agreements with China Development Bank. At the forum, SIBUR and Gazprom will announce an investment of 800 billion rubles to develop a gas field in the Amur Region. 1,500 foreign delegates will attend the first edition of the annual Eastern Economic Forum, which will be held in Vladivostok on September 3-5. Delegates are expected from Japan, Singapore, China, South Korea and Malaysia, among other countries.